Canaccord Genuity Managing Director Tony Dwyer and FBN’s Sandra Smith and Cheryl Casone on Netflix offering employees who are new parents up to a year of paid leave. 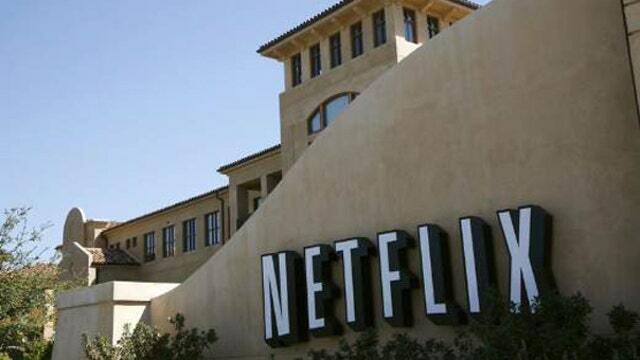 Netflix (NASDAQ:NFLX) on Wednesday announced that new parents who work for the streaming-video giant can take up to a year of paid leave, topping its Silicon Valley rivals. The Los Gatos, Calif.-based company said its maternity and paternity policies allow parents to return part-time or full-time. Employees also can choose to return to Netflix and go back on leave. During the first year after a child’s birth or adoption, Netflix will pay workers their normal wage. Netflix employs approximately 2,000 people. “Experience shows people perform better at work when they’re not worrying about home. This new policy, combined with our unlimited time off, allows employees to be supported during the changes in their lives and return to work more focused and dedicated,” Tawni Cranz, Netflix’s chief talent officer, wrote in a blog post. The changes to Netflix’s maternity and paternity leave go beyond U.S. federal law, which requires that companies of a certain size provide 12 weeks of unpaid time off. Netflix also surpassed other technology firms like Twitter (NYSE:TWTR). Employees of the microblogging website can take 20 weeks of paid maternity leave and 10 weeks of paid paternity leave. Google (NASDAQ:GOOGL) went to an 18-week paid leave policy in 2007, up from 12 weeks. Facebook (NASDAQ:FB) offers four months of paid leave and $4,000 for each newborn or adopted child. Microsoft (NASDAQ:MSFT) also unveiled a reworked parental-leave structure on Wednesday. All new mothers and fathers will be paid in full for 12 weeks, plus birth mothers get eight paid weeks of maternity disability leave. The software icon detailed other changes to employee benefits, including the addition of Martin Luther King Day and Presidents Day to its list of company-wide holidays. Netflix’s announcement came the same day as its stock price touched a new all-time high of $129.29 a share. Shares were trading 3.9% higher at $125.88 in midday trading on Wednesday.